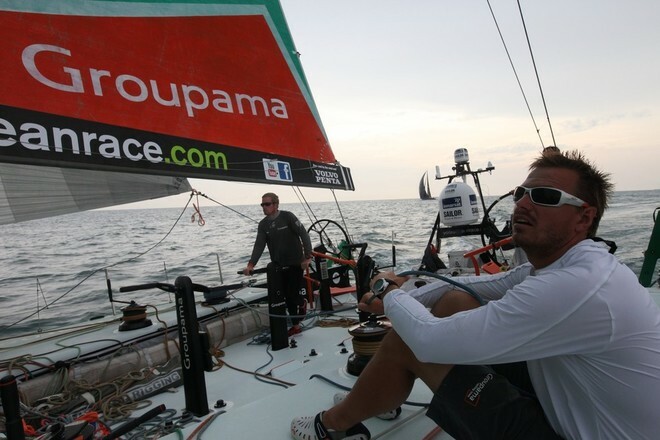 Volvo Ocean Race team Groupama 4 are 0.6 mile astern of the leader on day eight of the second stage of leg three at the 1700 UTC report. In less than 24 hours, the hierarchy has radically changed as the fleet surged into the narrowing Straits of Malacca. Three options were open to the crews and the most spectacular comebacks were made by Groupama 4, now in the top three, and Abu Dhabi Ocean Racing, which has caught up with Camper again! However, the situation might well change again in the Melaka gulley. Midway through the Indonesian night (1400 UTC), the Spanish had a lead of just one mile over Groupama 4, which was two miles ahead of Puma. However, the speeds had dropped considerably to around five knots, whilst some twenty miles astern, Abu Dhabi had the edge on Camper, both of which had stalled a great deal too. In the pitch black, the moon only offering the crews a tiny crescent of light, it’s likely to be a very lively night aboard Groupama 4. The reasons for this aren’t simply related to the task of keeping watch for shipping, fishermen, floating objects and things caught around the appendages (plastic, nets, tree trunks etc. ), but also keeping an eye out for their two rivals breathing down their necks and the clouds with their improbable behaviour. With this light and very fluky breeze, there will be a steady series of manœuvres too of course. This is especially true given that the squalls and local effects will be hard to make out. 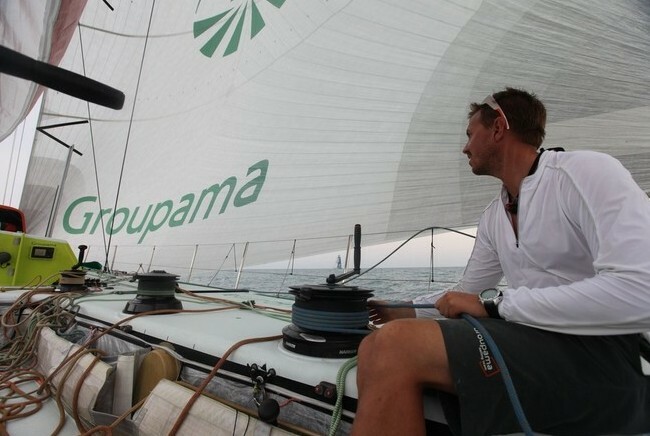 The main aim for Franck Cammas and his men is, above all, not to fall off the pace on entering the South China Sea in 36 hours’ time… For now, the French boat has performed that particular number to perfection!